and I have the pleasure of running LeapAlong Colchester. 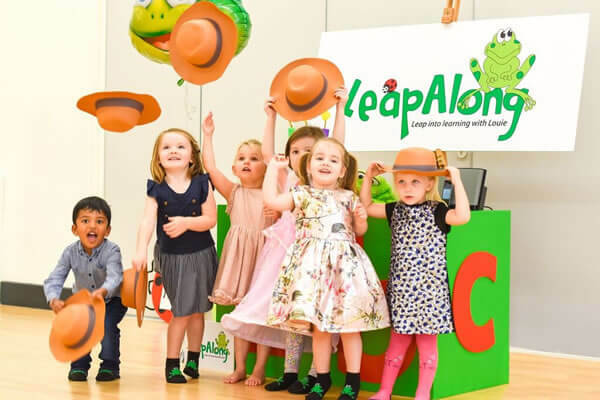 I have been a part of LeapAlong from the very beginning and have worked alongside HQ (to me, Mum) to help build and develop these beautiful classes. 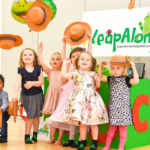 LeapAlong stole my heart from our very first class and I feel very lucky to have the opportunity to offer these wonderful classes to the families of Colchester. 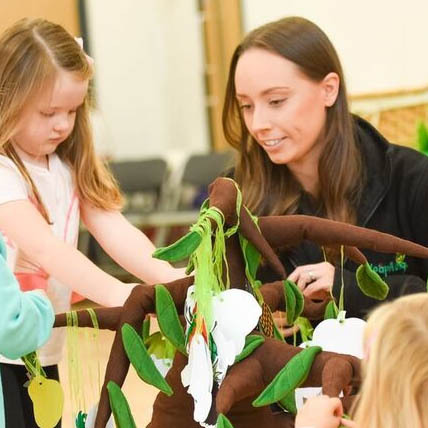 I have watched these classes blossom over the past 4 years and feel passionate about the fantastic head start they give children before they start school. LeapAlong is a family run business based in the UK. We understand that teaching techniques change all of the time and end up being confusing. With much love and devotion, time and dedication we have been able put together a programme like no other. 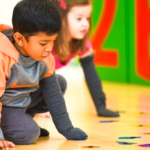 Our unique classes are for children with their grownups and will promise to bring lots of excitement and fun into learning phonics, numbers, colours and much more. Let us take your little one and their friends on a Truly Magical Birthday Adventure! With our amazing array of props, puppets, singing & dancing! We promise to take away the stress that can come with hosting a little ones birthday party and even allow you time to come and join in the fun with them! Recommended for a 3-5 year olds party, younger and older quest are still very welcome to join in! Betty and I have both adored every single session and Charna has been utterly professional, on the ball and fun for every one of them which is some achievement!! Thank you both so much for all you have done to make Betty’s Friday mornings so entertaining and educational. I’m sure she’ll be reaping the rewards for many years to come. LeapAlong has been the best class we have joined. I have watched my son learn phonics whilst having fun and he really looks forward to Wednesdays and seeing Charna. 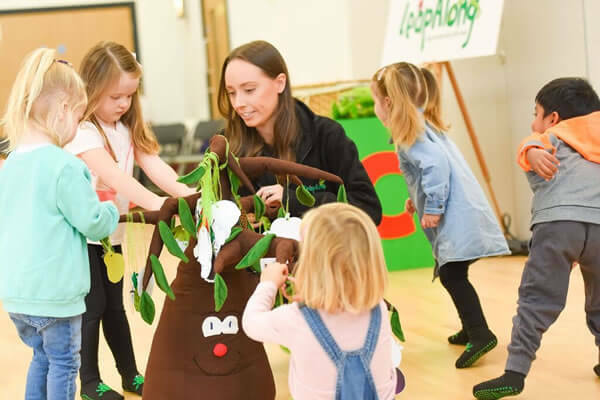 Harry has grown in confidence through being at the class and Charna ensures she takes the time to understand the children and get the best out of them.